Designed around the beautiful Camelia flower, which is found in eastern and southern Asia, the Camellia Flower Weave Natural Rug will definitely grace your kid’s floors in style. The rug has been handwoven in different sized circles with Bangladeshi Hemp to give it its unique style that creates a posy, celebrating the flowers concentric patterns. Because of its natural texture, this rug works well for baby nurseries and kid’s bedrooms alike. Not only is it aesthetically pleasing, it is durable as well, so it can even work for high traffic areas such as your lounge. Because of its neutral tone, this rug is suitable for both boys and girls bedrooms and will fit in with whatever your personal style may be. For nurseries, because of it’s different sized circles, your baby will enjoy the texture as little hands and knees crawl over the rug. 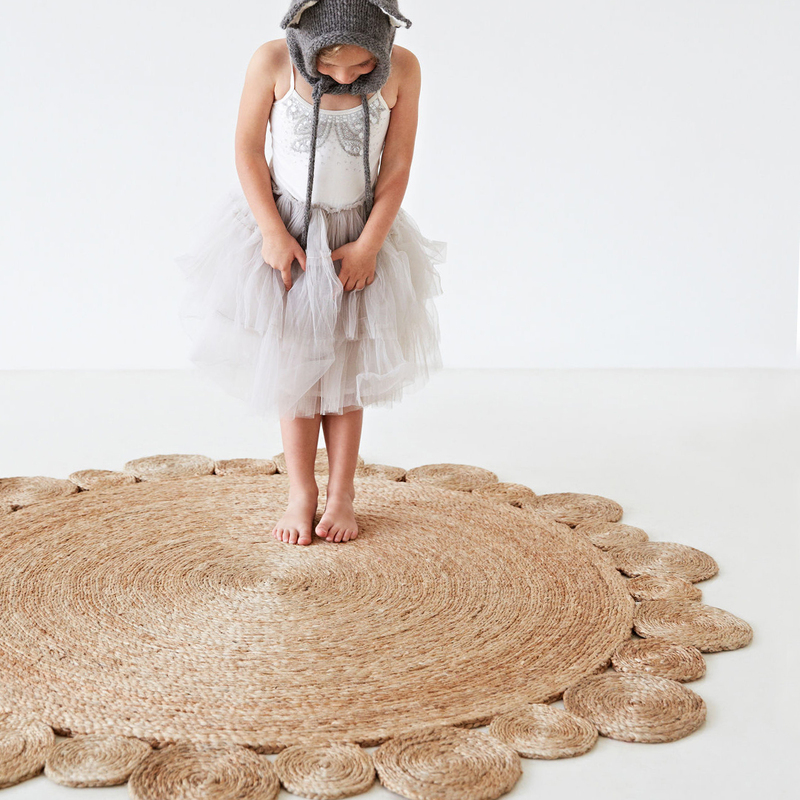 The beautiful Sherbet Daisy Flower Rug has been designed with your little fairy in mind. The rug carries on with the naturally handwoven circular design, what’s different with this rug is that it’s centered on one large woven circular natural center with different sized outer circles in three different colour variants giving it its daisy-like look. This rug provides the ideal spot for hours of indoor play for your kids and we have found that it acts like the perfect dance stage. The Sherbet Daisy Flower Weave Natural Rug is ideal for your little girl’s bedroom and can fit in basically anywhere because of it’s natural texture, colour and design. 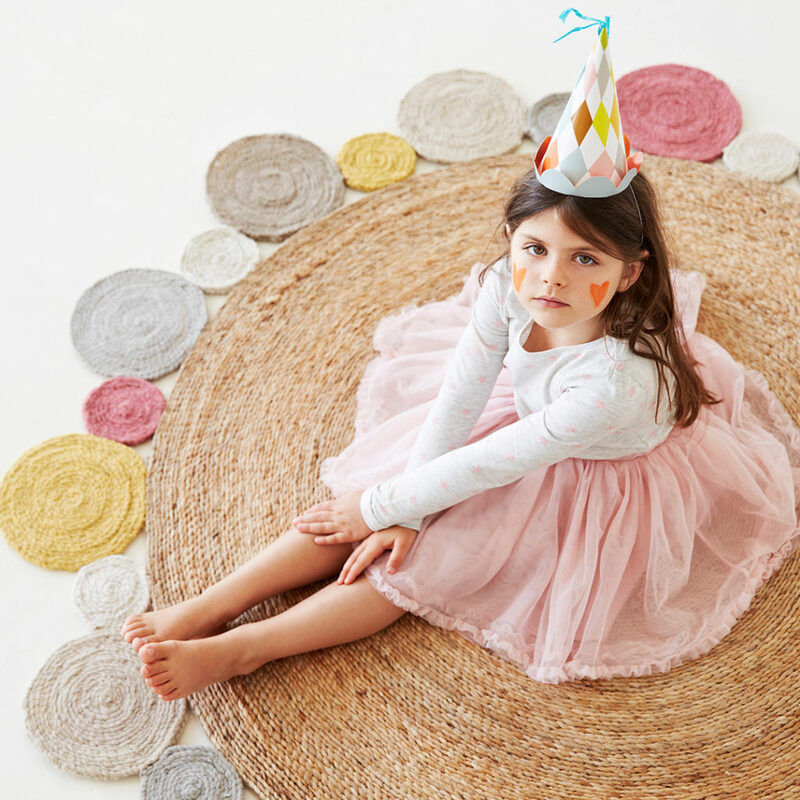 Dubbed as the little sister of the range from Armadillo & Co, the Daisy Flower Weave Rug follows a similar design to the Sherbet Daisy Rug but in an all natural tone and slightly smaller in diameter. 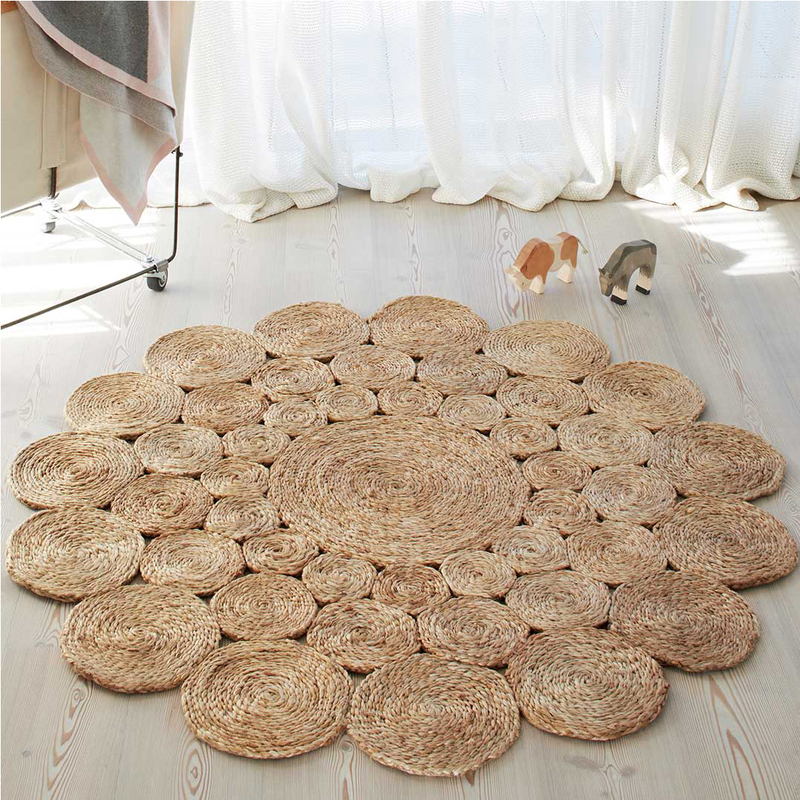 It follows suit from the Camelia Flower Rug, with its natural texture being ideal for baby nurseries and kids bedrooms. What would you do with the Armadillo & Co Rugs? We’d love to hear from you. Be sure to like our Facebook page and sign up to our newsletter to be the first to know about our blog posts and special offers as they are released. 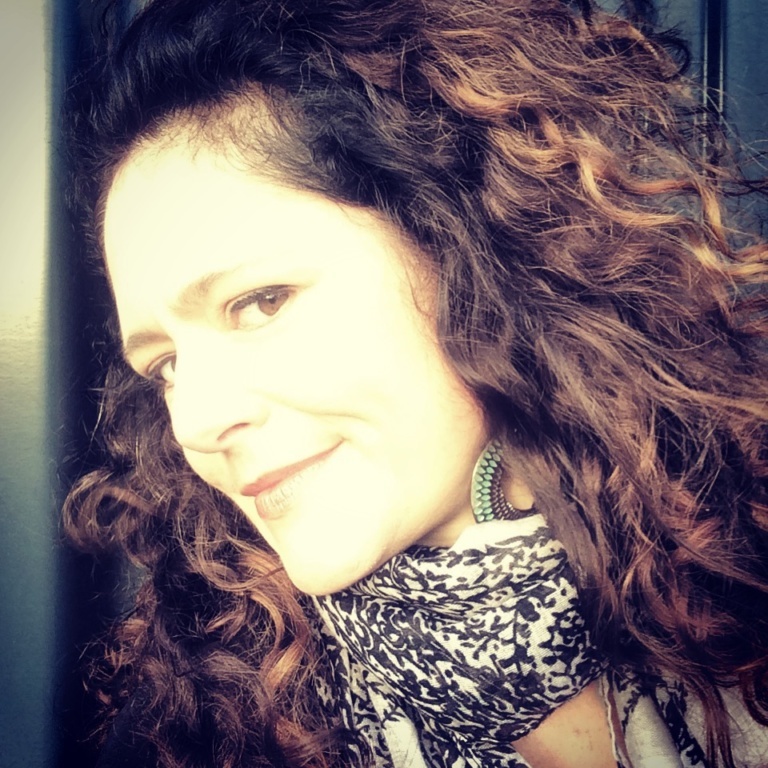 Follow us on Instagram @cleverlittlemonkey and get inspired.